This is a delicious banana cream pie recipe, made with plenty of bananas and topped with whipped cream or whipped topping. Top the pie off with the optional toasted coconut for an extra-special look and flavor. Use a ready-made pie shell or use a homemade baked pie crust. Combine the sugar, cornstarch, and salt in top of double boiler. Gradually add milk, mixing well. Cook over rapidly boiling water until thickened, stirring constantly. Continue cooking and stirring for 10 minutes longer. Stir a small amount of the hot mixture into the beaten egg yolks then return back to the hot mixture in the pan. Cook for 1 minute longer. Remove from heat. Add butter and vanilla to the filling then let cool thoroughly. While the filling is cooling, toast the coconut, if using. Spread the coconut out in a single layer in a large skillet. Place the skillet over medium-low heat and cook, stirring and turning constantly, until lightly browned. Remove from the heat and pour it out onto a plate to stop the cooking process. In a deep mixing bowl, beat the heavy cream until it is almost stiff. Add the powdered sugar and vanilla and continue beating until stiff. Cover the bottom of the prepared cooled pie shell with a small amount of cooled filling. Peel bananas and slice into the pie shell. Cover with remaining filling. Garnish the top of the pie with sliced bananas arranged overlapped in a circle about 1/2 inch in from the crust edge. 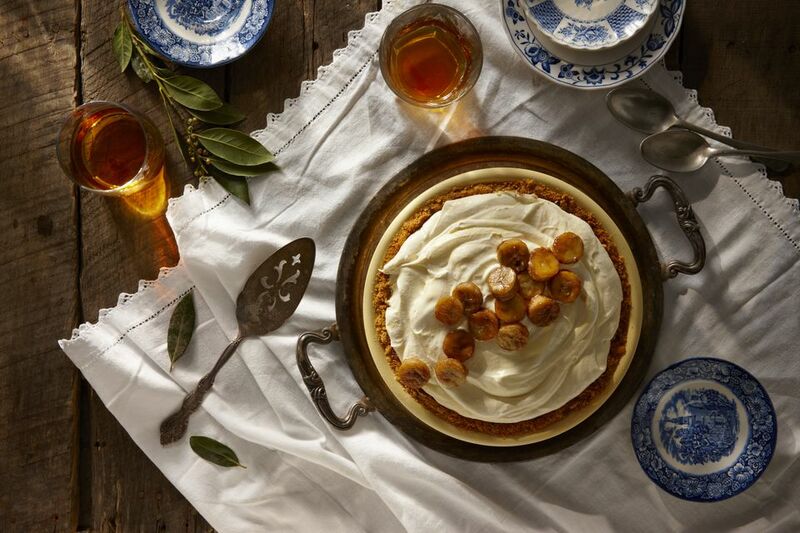 Top the pie with a mound of sweetened whipped cream or whipped topping in center of pie. Sprinkle toasted coconut over the pie, if desired.